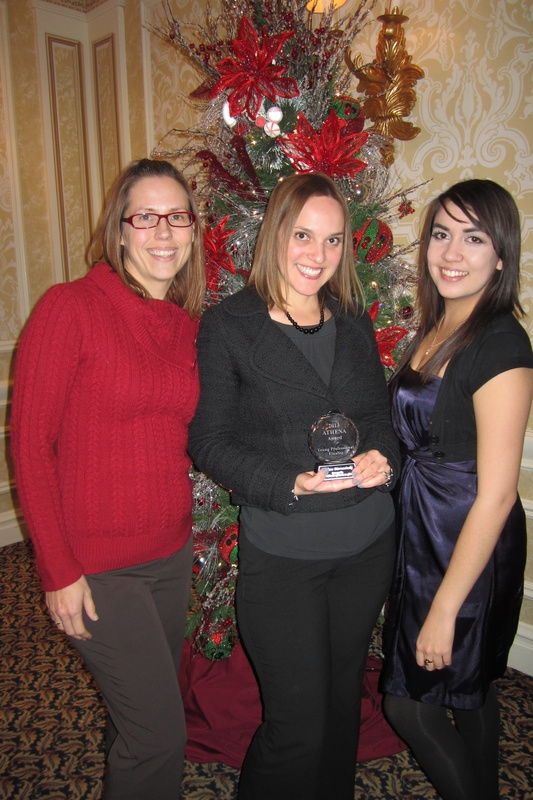 HENDERSON, Nev. – Imagine Communications’ director of media relations, Melissa Biernacinski, was a finalist in the Young Professional Leadership category for the Women’s Chamber of Commerce’s 10th Annual ATHENA Leadership Awards held Friday, Dec. 6, at the Monte Carlo Resort & Casino. The organization’s biggest fundraising event of the year, the Athena Awards’ raffle and silent auction net proceeds benefited Baby’s Bounty, Dress for Success and Safe Nest. Established in 2000, Imagine Communications is a full-service marketing and communications firm that provides strategic business planning, public relations, advertising, video production, consulting and government affairs services to clients nationwide. The company’s 13-person team works with a diverse array of clients of all sizes and in industries across the board.